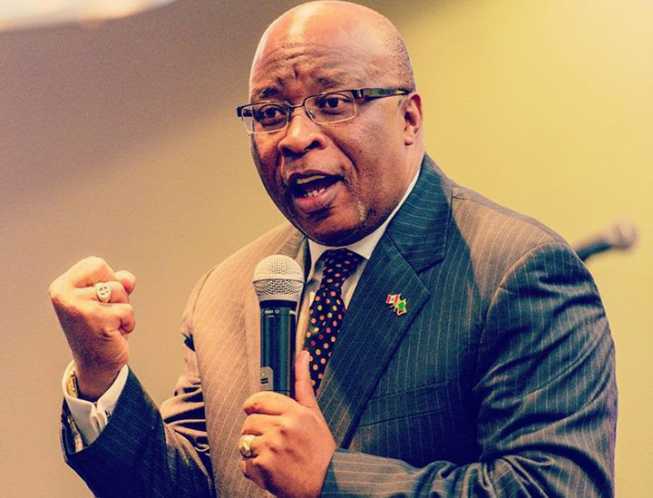 Ruling in the matter in which MMD faction leader Dr. Nevers Mumba has application for bail pending appeal following his conviction could not take place yesterday due to non-availability of Principle Resident Magistrate David Simusamba. Dr. Mumba who is serving a three months prison sentence for giving false information to a public officer applied for bail pending appeal to the High Court. On Tuesday, 3rd April, 2018, Magistrate Simuusamba heard the application for bail and reserved ruling for today, 5th April, 2018. However, no reason was given as to why Magistrate Simuusamba failed to show up for the ruling. And Dr Mumba asked God to forgive his persecutors as he was whisked away in a vehicle back to prison.